Steven Gullotta Synthpop, New Wave Last year, on a now predominately defunct label, Mr.Kitty released his very well acclaimed album, LIFE. As popular as it was, it also sold out fast, almost too fast for the label to even keep up with sales. It left many people wanting a physical version, sadly, that was not likely to happen. Even with an alternate physical release on Ritual Tapes (as a cassette), there was not enough copies of the album to submit the hunger of fans about. That was until Forrest Carney decided to sign onto Mr.Kitty. Understanding the fans hunger for the album as well as including two new tracks to the tracklist, the deluxe edition of Life was born. So, let's take a dive into this album and see what's what. The ever popular Insects kicks off the album. Maintaining a mainly synthpop beat, I found the vocals to be a turn off as I'm not too huge a fan of auto-tuned voices. Heaven is one of my favorites on the album, even though it still maintains the auto-tuned effect. The beat really remains astounding, and the long holding singing voices in the background amongst everything else can really make you feel as if you're in Heaven. Unstable makes for a more dancey track, having a faster pace, and lower pitched vocals than the previous two tracks. We are then presented with Sacrifice, which makes use of drums more so than the other songs when the chorus comes in. They stand out in the cluster of noise. And, it's mainly an instrumental track. Holy Death comes in once more, and actually takes a lot of the music away in turn for more clear cut vocals. I feel as if the voice was really supposed to take main stage here over the other tracks. Labyrinth takes a stand next to Unstable, having a higher pace than most songs, mainly due to the drums than permeate throughout, but still keeps to its synthpop roots. I felt as if Scars didn't really bring much new to the table, but still kept up the really nice production quality as seen on the rest of the album. Drown quieted things down, coming off really slow, with the vocals also just being more soothing than anything. London kind of took me back to a sort of retro inspired era, where 8 bit games were still found everywhere with their cheesy chiptune music. Dearlove was a decent track, however, I felt as if the lyrics were worded a bit weird, as it sounded like it was coming from the mouth of Yoda. Choke put the album back on track, though, and continued through with a pretty nice and heavy song. It cracked in at the top of the album for me, just as Heaven did. And then Years came along and provided some high pitched synths. The high pitched vocals provided within the song really didn't do me over too well, though. I was kind of sighing a breath of relief once the regular voice returned. 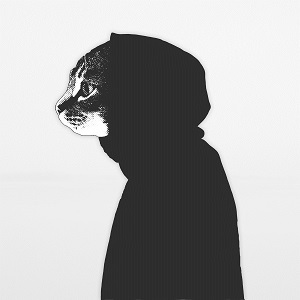 Escape took a walk into the witch house genre, with it's dragging beats and heavy bass. I felt the echo effect on the voice didn't work too well as it could have. It was an interesting experiment. We're hit with Amnesia coming towards the end, and we're hit with more synths and the works. I felt as if the vocals were lower than the beat, which made for a bit of an annoying listen. And, finally, we're given the last track, which is absolutely beautiful. Playing off as pretty ambient, but with a lighter atmosphere than most tracks in the given field, it went over well. The synths in the background worked extremely well in this song. And, for once, the vocals with the auto tuned and the echo worked perfect. This song is the pinnacle of talent that I've seen from Mr.Kitty thus far. However, part from Father that's where the old tracks end, and the new ones begin. Hurt is another fast and heavy song meant to get you moving. I liked this one a lot. And then we're given the fantastic remix of Insects by IIOIOIOII. Keeping the vocals of Mr.Kitty and the slow pace, the remixer decided to jam in his trademark ambience mixed with heavy beats to create a pretty amazing remix. And, that's all there is to it, musically wise. I still have a few more thoughts that I wish to throw out there. While this album is good, and while there has been much praise behind it in the past, I find it difficult to throw as much praise into the melting pot now. Other releases on the label that have been re-released have always had a touch of magic upon them; Ritual Aesthetic's release was remastered and given the remix treatment, just as Pittersplatter's was. However, this album only really got the remix treatment. Therefore, I didn't really find much of a reason to have a listen to it over and over again. Now, the IIOIOIOII remix came out brilliant. And Hurt was a good song on its own. However, those are only two new songs out of the seventeen presented. Which means that we're listening to an album most of us have heard before. Last year, on a now predominately defunct label, Mr.Kitty released his very well acclaimed album, LIFE. As popular as it was, it also sold out fast, almost too fast for the label to even keep up with sales. It left many people wanting a physical version, sadly, that was not likely to happen. Even with an alternate physical release on Ritual Tapes (as a cassette), there was not enough copies of the album to submit the hunger of fans about. I refuse to say that this was a bad move at all, as the label is giving fans what they've been asking for, and that's a chance to listen to Mr.Kitty on CD in case you were never able to grab a copy in the past. This release is a good one, and for those of you who have already gotten it on CD probably won't find much of a reason to get this release. But, if you haven't, I suggest picking this up rather than scouring the internet for a copy of the original.